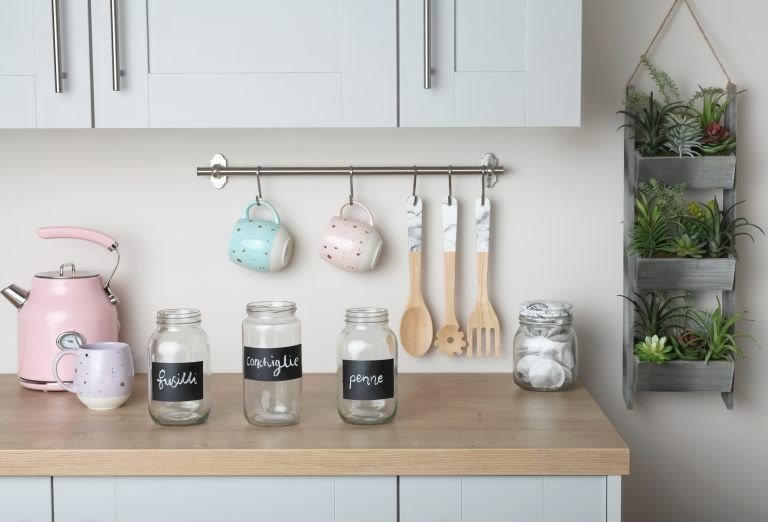 Make sure you don't miss our 10 Mason jar DIY ideas to find out how to style up your newly labelled jars and head over to our craft section, too, to find more quick and easy DIY ideas. Using masking tape, mark out the shape for your chalkboard labels, covering any area you do not wish to paint. Move the jars to a well-ventilated space and place on top of a large dustsheet or some old newspapers. You may want to cover the surrounding area with additional dustsheets/newspaper to protect from spray mist. Holding the can approximately 30cm away from the jars. Apply up to two coats of chalkboard spray paint. Allow each coat to fully dry before applying the next. Once fully dry, remove the masking tape and label away!